Our exceptional range of tungsten carbide rings are extremely popular with men who require a wedding ring that stands up to the wear and tear of daily life. The scratch resistant properties of our tungsten carbide rings mean that you ring will retain its finish for far longer than wedding rings made from other materials. Our range of tungsten wedding rings are available in a range of finishes from highly polished, to a duller satin brushed finish, or even a mixture of the two to give a contrasting effect, or even a coloured carbon fibre inlay. 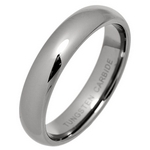 in addition, most of our tungsten wedding rings can also be personalised with engraving. Our men's tungsten rings are available from stock in finger sizes P to Z+10, and our women's tungsten rings are available in finger sizes I to S, from stock. Our entire range of tungsten carbide rings and wedding rings. UK sizes I to Z+10 are available within this range. Our tungsten carbide rings with our highly polished, reflective finish, so shiny you can see your face in them. Our tungsten carbide rings with our durable, satin brushed finish for that slightly darker finish. Tungsten carbide rings with a mixed polished, and satin brushed finish for a contrasting effect. Our tungsten carbide rings with coloured, or black carbon fibre inlays. Tungsten carbide wedding rings that are available in women's smaller finger sizes. 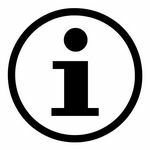 Information about our tungsten carbide rings and wedding rings, and packaging options. Our Tungsten Rings have been rated 10 out of 10 based upon more than 198 customer reviews.